GMCVO Databases provide bespoke Client Relationship Management (CRM) solutions for charities, voluntary organisations and small businesses, helping them to work smarter. With ambitions to expand beyond Greater Manchester, DISE was engaged to assess the potential for growth. When GMCVO (Greater Manchester Centre for Voluntary Organisation) identified the need to better manage their own data, they struggled to find a suitable and affordable IT solution until they came across open source CRM software designed specifically for the voluntary sector – CiviCRM. Using CiviCRM GMCVO was able to design and build their own database and soon discovered there were other not for profit organisations looking for tailor made solutions. 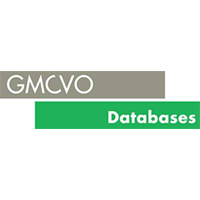 Within two years the demand for CRM services made it necessary to incorporate ‘GMCVO Databases’ as a social enterprise subsidiary of GMCVO – one of few CiviCRM specialists in the country. DISE began working with GMCVO Databases in 2014 when they approached us to look at their business growth strategy. “We wanted the benefit of external expertise from consultants who could enable us to understand how best to grow the business and attract higher value contracts,” says Alex Whinnom, Chief Executive of GMCVO. A business and marketing plan had already been prepared which was reviewed as part of the brief.